What does it feel like to find the city's edge, to explore its tunnels and scale skyscrapers high above the metropolis? 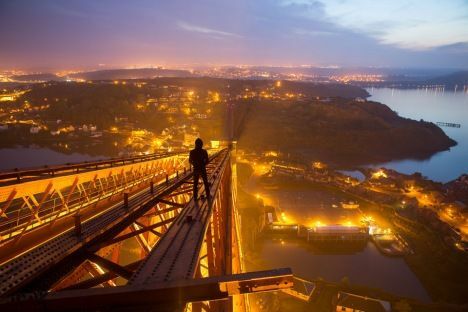 Urban explorer and author of Explore Everything, Bradley L. Garrett, recasts the city as a place for endless adventure. Bradley invites us to critically engage with questions around the public and private, increased surveillance and control over our urban environments and offers us a radically new way of perceiving space and the cities that we live in. Join us to hear Bradley talk with Iain Borden about how he infiltrates abandoned buildings, sewers, bridges and office-block rooftops, filming and photographing them to bring these hidden spaces to the public view.